Thank you for visiting our site, our little bit of "Blue Heaven" in Ireland. 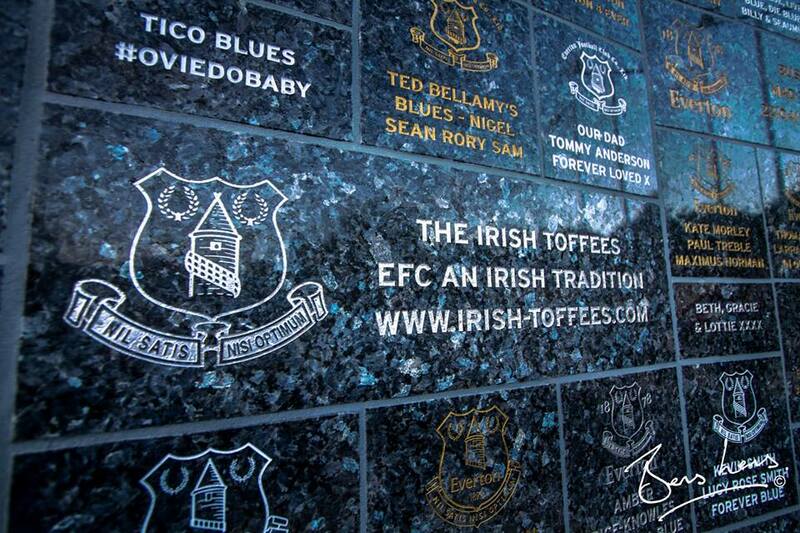 The Irish Toffees were set up to cater for the needs of Everton Supporters in Ireland. The Irish Toffees have been growing in membership over the years and at any one time the membership could exceed some 300 members. The membership is made up of members from Dublin, Kildare, Midlands, Galway, Mayo, Limerick, Clare, Cork, Derry, Warrenpoint, Strabane, Donegal, Monaghan, Dundalk, Drogheda, Kilkenny, Wexford, and Meath. 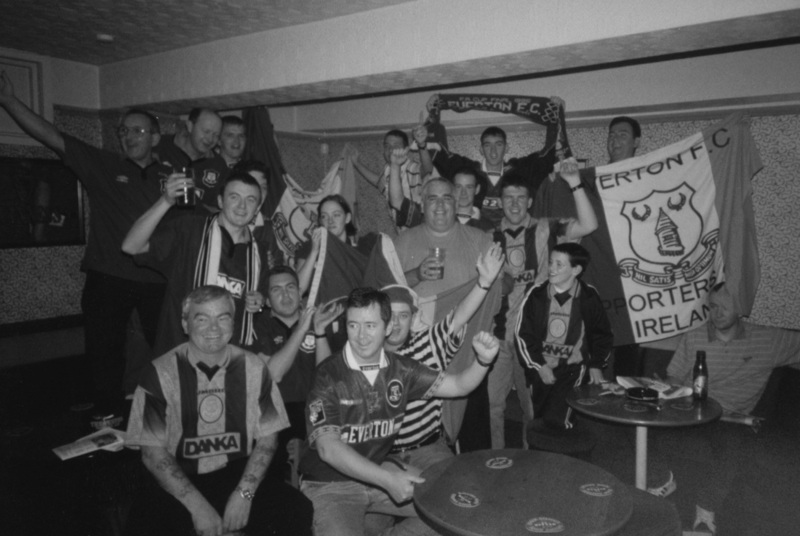 The Club was officially formed in 1992 as the Everton Supporters Club Regional Areas Ireland and later became the Irish Toffees in 1997. It was born out of a meeting of die hard Evertonians organised by cousins Duncan Kenna and Eddie O'Neill in the Rockingham, Newbridge, Co. Kildare in 1992, attended by Jim Kearney, Terry Myers and others. Duncan stepped down as Chairman of The Irish Toffees in 2013 to take up a new role as president. The club continues to grow and develop, inspired by the memories of the late Jim Kearney and Dermot Nealon. The club by its nature is family centred and caters for the needs of Evertonians of all ages. By far our most popular trip every year is the "Junior Blues" coach/boat trip to Goodison, this trip is subsidised by the Irish Toffees. On this trip a number of activities are laid on. Children really enjoy meeting some of the players past and present before and after the game. The trip often concludes with a tour of Goodison Park. The late Dermot Nealon & Jim Kearney, with Irish Toffees president Duncan Kenna, donating 2007 euro to Our Lady's Hospital for Sick Children Crumlin, on behalf of The Irish Toffees. The Club arranges all match tickets for home and away games. For the Junior Blues trip the Club organise accommodation at keen rates in top hotels in Liverpool. The Irish Toffees Committee selects three to four key games as the Official Club trips every season one/two games prior to Christmas, the Junior Blues in February/March and the last home game of the season. The Club has organised and hosted many events in Ireland where past and present Everton heroes have joined us for an evening of basking in past Everton Glory or giving us a keen insight into the current operations of Everton Football Club. The Club also facilitates "Irish Toffees On Tour" around the country where we help our members keep in touch by meeting in venues in their town to watch Everton live games. The Irish Toffees is a non-profit making club where all money is put back into the club and the community. It is run by a committee made up of several volunteers who give their time freely (and pay their membership fees like all other members) with the primary aim of bringing Irish Everton fans together to support our beloved Everton. The Irish Toffees made sure to get a prominent position on Dixie's Wall of Fame at Goodison Park to remind everyone of Everton's Irish connections. 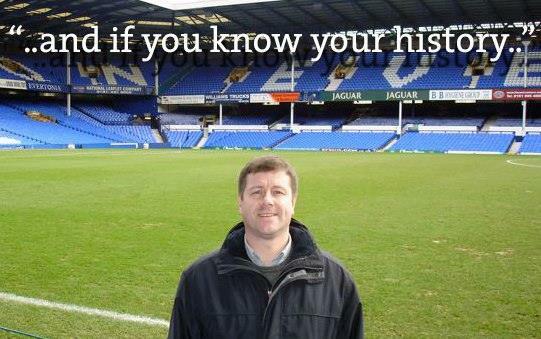 8th April 2015 is the 4 year anniversary of former vice-chairman of the Irish Toffees, Dermot Nealon. A major player in helping Everton fans in Ireland.